mixwell just recently teamed up with the French side G2 after plying his trade in North America with OpTic Gaming. He has only had the chance to play three official matches so far and thus his price remains low. mixwell has proven that he has quality throughout the years with OpTic, putting up solid numbers even against top European competition. For much of his time with OpTic, mixwell has been the primary awper of the team — a role that he has said that he isn’t entirely comfortable in. With G2, this will no longer be a problem since he will have kennyS — one of the world’s best awpers along side of him. On CT-Side, G2 could potentially run what should be a deadly double AWP setup with mixwell and kennyS. In fantasy, this means more potential upside for mixwell. He will net you more points for headshots and assists on T-side and will still be able to utilize the AWP at times on CT-side; something that will naturally be positive for his overall K/D since awpers tend to take less risk and often find themselves in situations where they’re forced to save the AWP and look for exit-frags. G2 also has some really favorable match-ups this week, going up against the likes of EnVyUs and LDLC that have struggled for consistency this year. mixwell’s low price, favorable match-ups and high upside makes him a very strong pick and one of my favorites for this week. North is coming off a semi-final exit against Team Imperial at Copenhagen Games. A tournament which they were definitely expected to win at home-soil against a rather weak field. North has to be one of the most disappointing teams in the world. They have had all the ingredients for success after picking up valde from rivals Heroic in August last year, but have struggled to establish themselves alongside the world’s best. With all of this said, they’re still a solid team and Kjaerbye is an explosive player who can score you a great amount of points on a good day. North has some fairly difficult match-ups this week, going up against FaZe, G2 and a Space Soldiers side that is going from strength to strength. However, Kjaerbye’s low price is just too good to ignore. It is also worth noting that FaZe will be playing with Xizt as a stand-in this week instead of olofmeister who has chosen to take a break from the game. So there’s a chance for a potential upset there and Kjaerbye would be a very good pick for those who wishes to take a gamble and be contrarian. HellRaisers is a team that is sneakily getting better and better. They’ve split series against the likes of NaVi, NiP and Astralis and managed a 2–0 sweep against fnatic. Their players are still very cheap and with favorable match-ups against the likes of AGO and EnVyUs they’re well worth a look this week. ISSAA has been the team’s stand-out player alongside woxic this season of ESL Pro League and ANGE1 continues to be a very interesting option thanks to his high assist total (0.18 assists/round in 2018) as well as headshot accuracy (53% in 2018). Both ISSAA & ANGE1 are great picks that will allow you to save a lot of money for the heavy hitters in other match-ups. If you’re confident in HellRaisers you can pair them up in a duo or why not alongside woxic who is in good form at the moment. Mousesports has three great match-ups this week and they’ll be big favorites in all of them. Most people will be looking at the likes of suNny and ropz as usual, but also oskar who was the team’s MVP during the V4 Sports Festival that mousesports won last month. So why chrisJ? Well, chrisJ has been the team’s second best player in terms of fantasy production online the last 3 months with 7355 total points scored, second only to suNny (7833 points). chrisJ is a player that has gone from strength to strength for mousesports since he picked up the role as in-game leader in late 2017. He has become the team’s all-rounder and thanks to his incredible proficiency with all of the weapons in the game he gives the team a lot of flexibility. He is able to form a very efficient double-awp set-up alongside oskar and when the team is struggling in terms of economy he is capable of doing a lot of damage with the scout or the deagle as well. We have also seen chrisJ do a good job with smgs and he has interestingly opted to use the mp7 on multiple occasions with great success. The likes of suNny and ropz remain the safest and best picks for mousesports, but if you’re willing to take a gamble then chrisJ could be a good option as well. With olofmeister taking a break from CS, FaZe will be forced to call upon former NiP in-game leader, Xizt. It’s going to be interesting to see how much this impacts FaZe and how they will perform without olofmeister. This obviously gives teams a window of opportunity to upset a FaZe side that is usually a big favorite in just about any match-up. 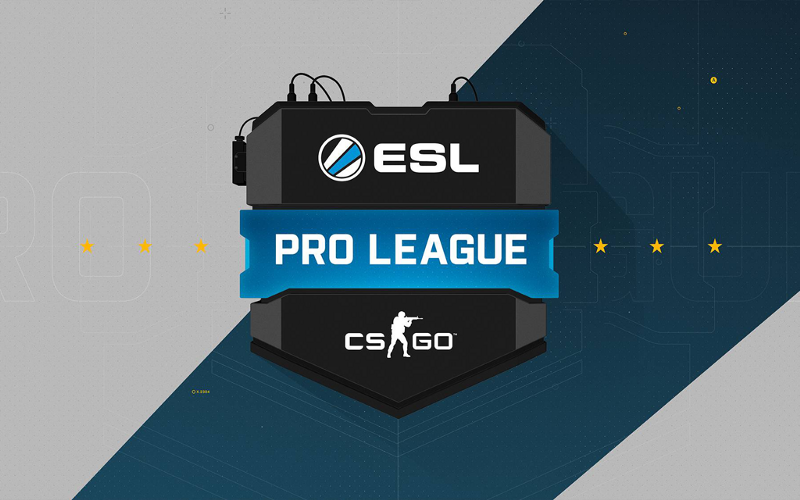 The pressure will now be on the likes of GuardiaN and rain to make up for olofmeister’s absence and this could be positive for their fantasy production. As such I like them both alongside NiKo this week. GuardiaN is by far the cheapest of the three and is an interesting option if you wish to go for a top-heavy lineup. Thanks for reading and good luck with your selections.